The military-inspired SF Air Force 1 High adds to Nike’s ongoing “Realtree” lineup that’s perfect for the colder and wetter months. Dressed in a Black, Gum Medium Brown, Elemental Gold, and Black color scheme. 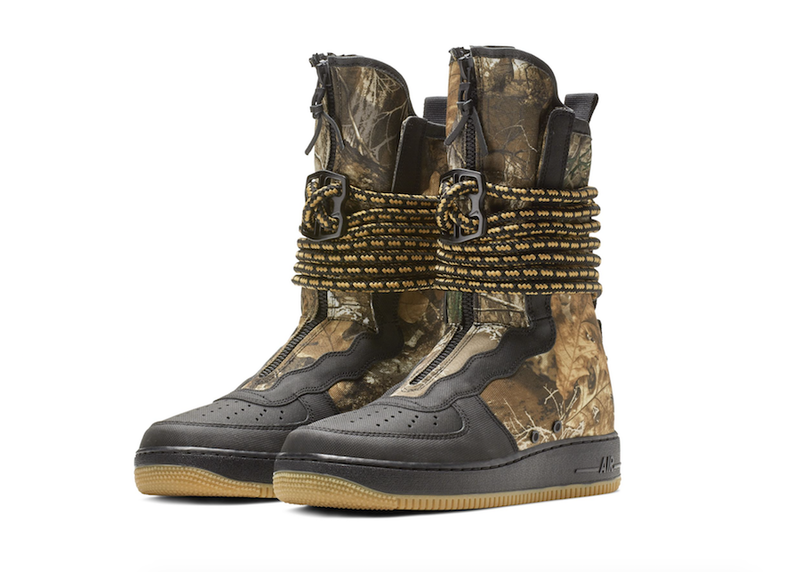 This Nike SF-AF1 High features a quick-cinch closure system and bold design elements like rope lacing and reflective details as well as camouflage detailing. 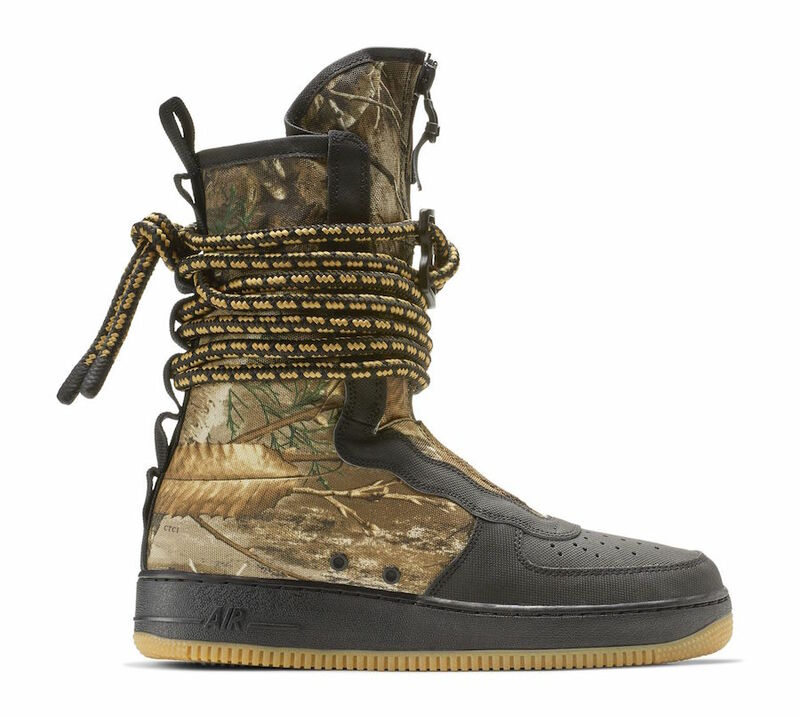 You can now find this SF Air Force 1 High “Realtree” available directly on Nike.com. The retail price tag is set at $200 USD.